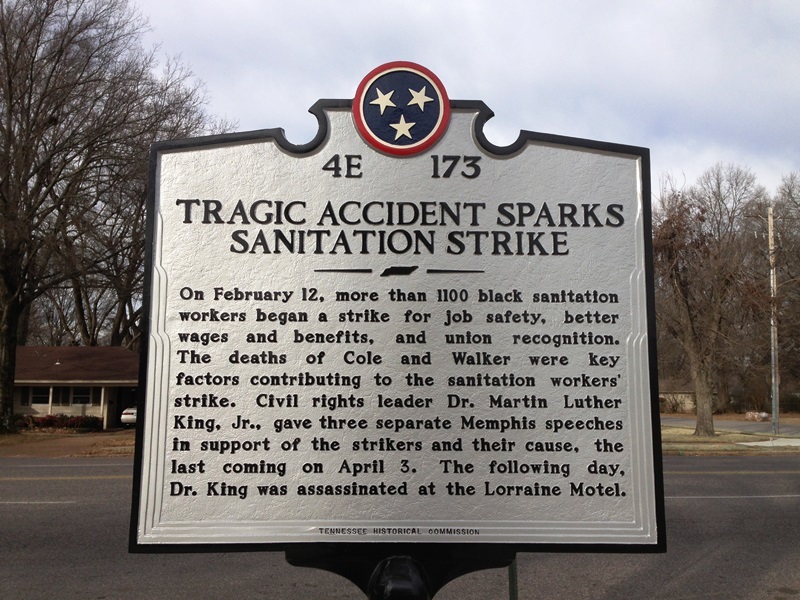 The Tennessee Historical Commission approved a historical marker to commemorate the event of the two Memphis sanitation workers (Echol Cole and Robert Walker) that were killed in a truck-equipment failure accident on the job on February 1, 1968. This event began the conversation that led to the Sanitation Workers’ Strike. The marker is the work of Pink Palace Museum staffers Caroline Mitchell Carrico, exhibit project coordinator, and Steve Masler, manager of exhibits. The dedication of this marker was held on Saturday February 1, 2014 at the corner of Colonial Road and Sea Isle. It was an honor to have been able to be a part of this project.